What is a 'public Blockchain'? Public Blockchains are open-source, free to use and permissionless Blockchain ecosystems. Everyone is able to make use and participate in a public Blockchain. Another characteristic is its self-validating nature. Users inside the network are validating their own transactions in an incentive-based distributed consensus concept which could be e.g. Proof of Work (PoS) or Proof of Stake (PoS). These types of Blockchains also profits from a higher security standard due to decentralized governance. As all decentralized ecosystems as well public Blockchains offer distinctive advantages but also some downturns. A main advantage is their high security standard. 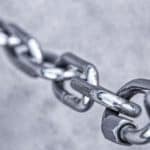 Due to decentralized governance , these type of Blockchains are less vulnerable to external attacks. Nevertheless they are generally considered to be slower than centrally governed Blockchains. Moreover the lack of governance soften considered to be an issue as there are no hierarchical decision-making processes integrated to efficiently handle and solve issues within the network. 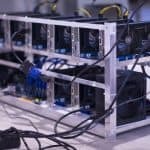 One of the currently most popular public Blockchains is Ethereum. The cryptocurrency invented by Vitalik Buterin, is free to use and permissionless. 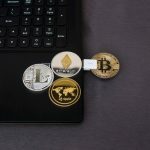 Moreover developers are able to execute Dapps and smart contracts as long they are paying the required fees, in form of their own currency called GAS. 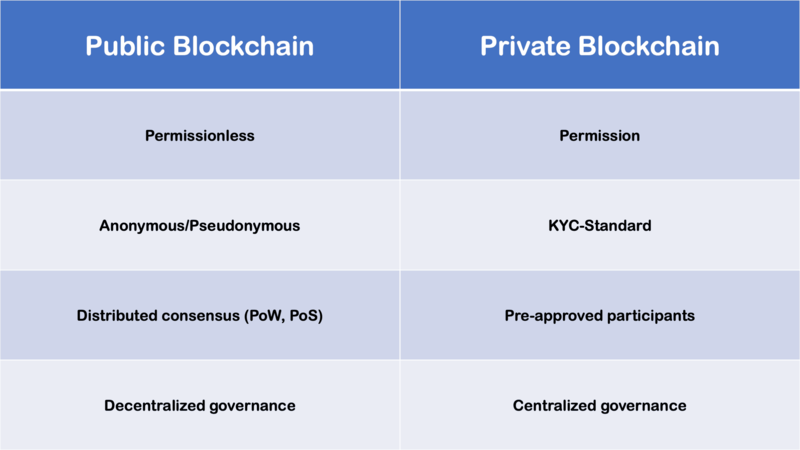 The following infographic gives you a quick overview about key differences between public and private Blockchains.